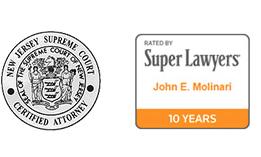 Designated as a Super Lawyer 2005 – 2019 (15th-consecutive year listed in Super Lawyers) in the fields of personal injury & product liability. Click here to view Mr. Molinari’s Avvo Profile/Rating and click here to view the AVVO rating process. John E. Molinari was born and raised in Hudson County to a family of nine children. He credits his father for teaching him discipline and a strong work ethic, while thanking his mother for teaching him patience and compassion. John began his legal career as an Assistant Hudson County Prosecutor, trying numerous criminal jury trials on behalf of the State of New Jersey. 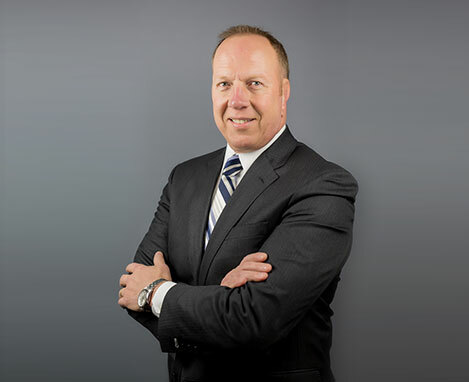 He joined the Blume firm in 1990 and, in 1997, he became the managing attorney for the firms’ two Hudson County offices, located in Jersey City and North Bergen. He achieved the designation of Certified Civil Trial Attorney from the New Jersey Supreme Court in 2000. He has been recognized as one of the top 100 Trial Lawyers in New Jersey by The National Trial Lawyers. He was voted Hudson County Civil Practitioner of the year in 2012, the first year that the award was ever given. John was elected President of the Hudson County Bar Association in 2006 and currently serves as a Vice-President of the Hudson County Bar Foundation. He is a former trustee to the North Hudson Lawyer’s Club and served for four years as a Member of the District VI (Hudson County) Ethics Committee. John is on The Board of Governors for The New Jersey Association of Justice. He is also an Associate in The American Board of Trial Advocates, a member of The Trial Attorneys of New Jersey, and a Master in The Hudson County Inn of Court. He annually judges the Hudson County High School Mock Trial competition. He has achieved an AV Peer Review rating in Martindale-Hubbell. On January 29, 2018, John judged the Vincent J. Apruzzese Mock Trial Competition for local High School students at the Hudson County Courthouse. On February 28, 2019, John spoke at the NJAJ seminar on “Trial Tips in Snow/Ice Cases” held at The Crystal Palace.